Our very own branded Kendal Mintcake bar! As we are based in Kendal, Cumbria and Kendal is famous for its Kendal Mintcake, we always send a bar out with any exhaust purchased! 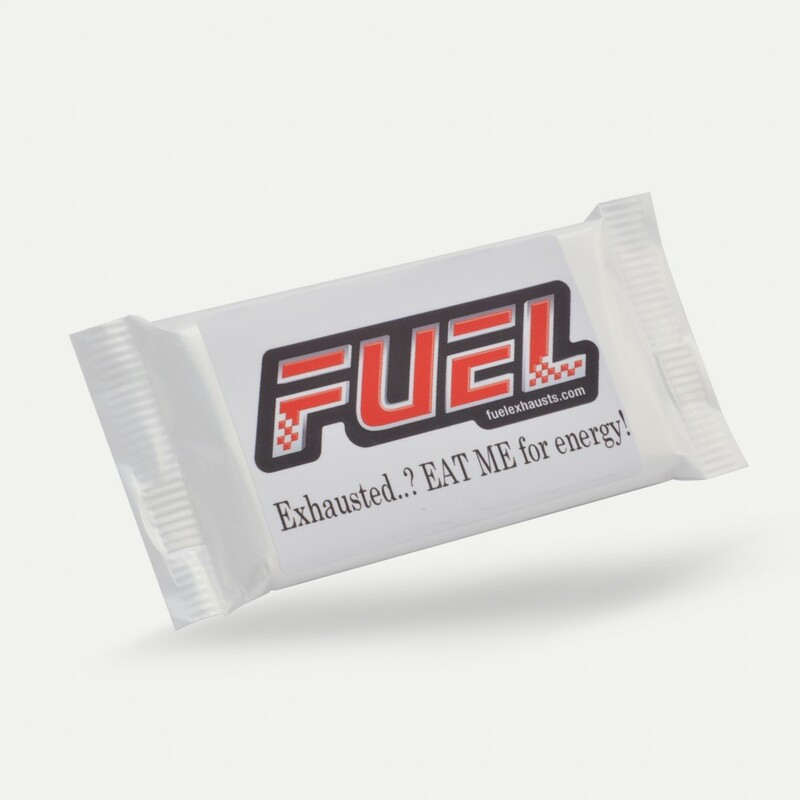 Now you can buy the bar by itself, branded with the FUEL logo. Great stocking fillers at Christmas!